Anyone with little or no knowledge of programming, zero experience is required! Got an idea that could work with some programming? Come along to share your idea, build your idea and get great things made! Improve your skillset, meet other people like you and travel to Hackathons with friends. This is an event, typically lasting several days, in which a large number of students/people meet to engage in collaborative computer programming. Many of our members secure summer internships and win prizes at these events. We welcome all ability levels, from veteran to “Hello World!”. 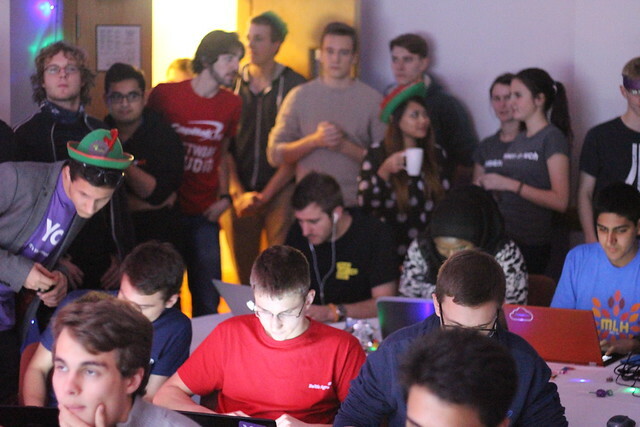 We run a variety of regular events, covering tutorials, themed hackathons, competitions and contests. We regularly attend events across the country, such as Hacked.io and Space Apps. Very active society with a wide range of socials. We run a 4 weekly schedule, with the theme changing every 4 weeks. The events in these four weeks include: Tutorials and talks, game development competitions, collaborative project sessions and special one off events. Weekly programming practice, in which members can work through problems as teams to gain the skills necessary to represent the University in the national and international competitive programming competitions. But why should I join? The people behind it all!